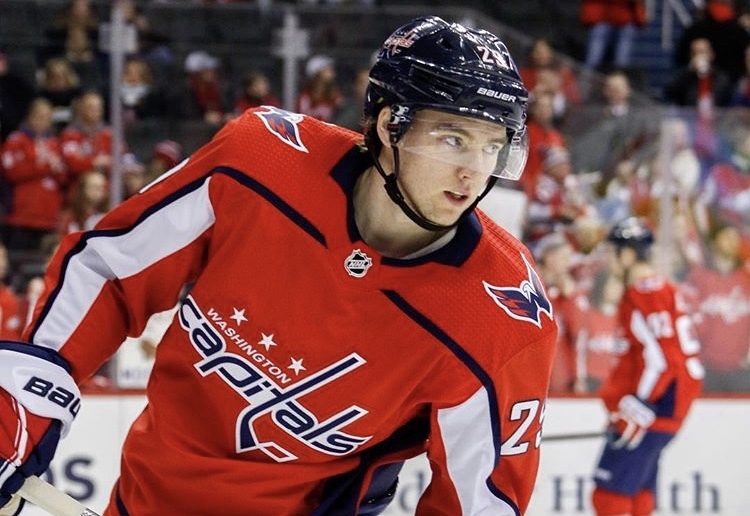 Having been out since mid-December with an injury (a total of 24 games), the return of defenseman Christian Djoos in the Capitals’ Saturday night loss to the Florida Panthers was a welcome sight. In this piece, NoVa Caps takes a look at how Djoos fared in his return. In his first game back in nearly two months, Djoos played a total of 10:53 of ice time, finishing the game with a plus-1 rating, one giveaway, two shots on goal and a minor penalty. His defensive partner Brooks Orpik, by contrast, 16:56, finished with a plus-1, two shots on net, one hit, three blocked shots, and one takeaway. Given how long he had missed, it is unsurprising Head Coach Todd Reirden limited Djoos’ ice time in his first game action in nearly two months. As Djoos adjusts once again to the pace of play (and his recent conditioning stint with the American Hockey League’s Hershey Bears would have certainly helped in that adjustment). This entry was posted in Defense, Games, News, NHL, Players, Washington Capitals and tagged Christian Djoos, Defense, Defenseman, Florida Panthers, Injury, Michael Fleetwood, Washington Capitals. Bookmark the permalink.